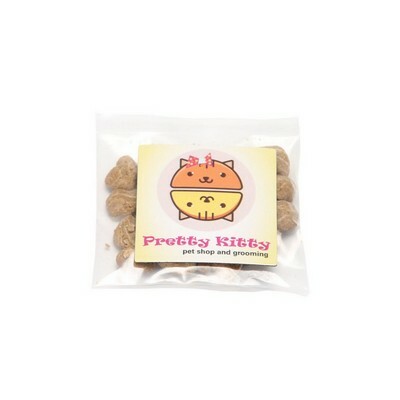 The Cat Treats in Bag with Square Magnet are made with real white meat chicken and turkey. 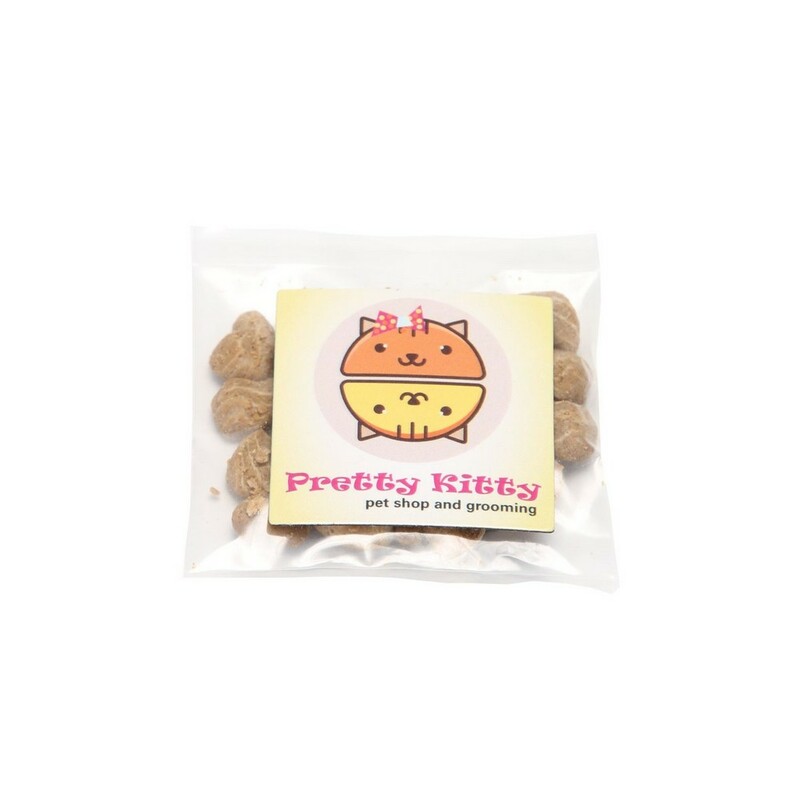 Dimensions: 2" x 2" x .01 "
Showcase your company’s care and love for the customer’s furry little companions, by using the Cat Treats in Bag. Every 1 ounce bag of treats comes with an attached square magnet, which ensures that the recipients will remember your brand’s promotional message, long after the treats are devoured. These treats are made with real white meat chicken and turkey, each delicious and crunchy morsel providing 1.4kcal. The daily allowance for a 6-8 pound cat is 14-18 pieces, giving you ample opportunities to pamper your pet. Imprint your company’s logo on this marketing tool to boost brand value and customer satisfaction.